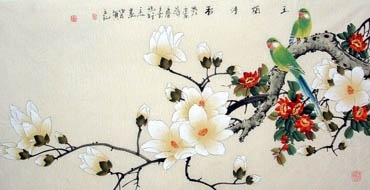 The magnolia is known as mulan (木兰) in Chinese. 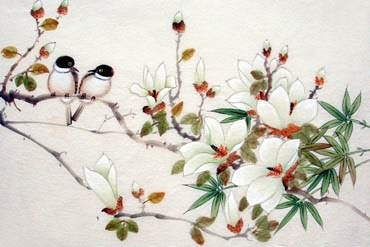 A white magnolia is known as a "jade orchid" (yulan 玉兰) due to its beautiful white jade (yu) color and the orchid-like aroma. 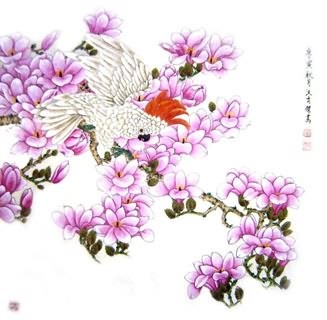 It is one of the flowers traditionally used to represent feminine beauty. 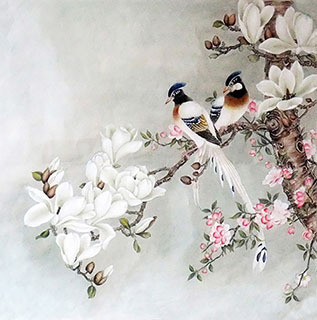 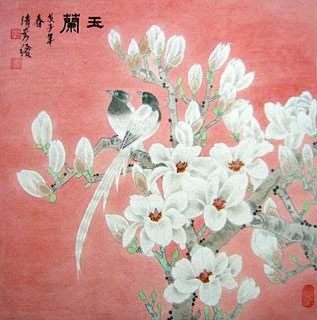 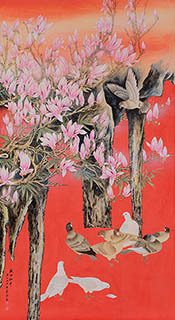 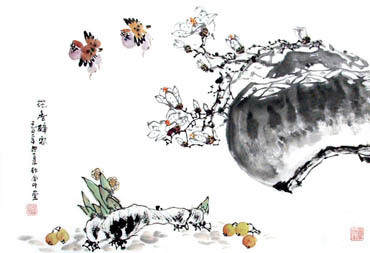 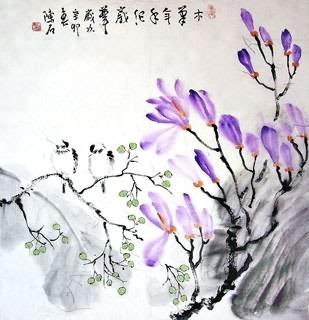 Chinese Magnolia Painting: The magnolia is also sometimes depicted with orchid (also known as fragrant thoroughwort (lancao 兰草)) to give the meaning "pure and noble." 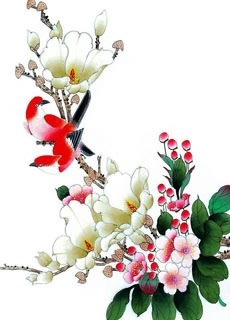 Chinese Peony or Crab Apple Blossoms & Magnolia Fengshui Painting: (玉堂富贵) When you find a picture of white magnolias combined with peonies (fuguihua 富贵花) and crab apple blossoms (haitang海棠), you are looking at a popular Ming and Qing Dynasty artistic floral arrangement that can be translated as "wealth and rank in the Jade Hall" (yutangfugui 玉堂富贵). 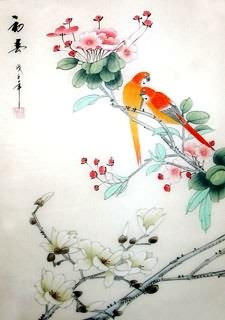 This is because there is another tang (堂) that means "main hall in a house." 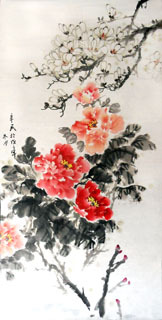 Yutang (Jade Hall) is a classical literary reference to imperial China’s famous Hanlin Academy. 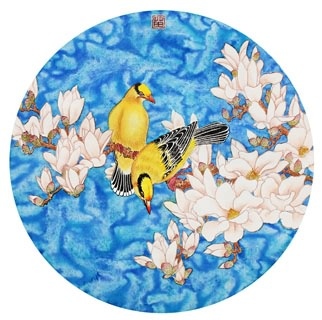 InkDance Price: USD 630 /GBP 517 /EUR 599 Sold, you can customize it. 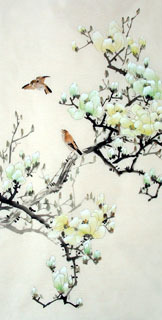 InkDance Price: USD 310 /GBP 255 /EUR 295 Sold, you can customize it.